This video is a follow up to the previous blog post on 18 Bug-Out Uses for a Trash Bag. 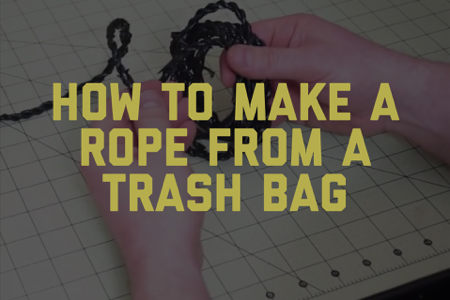 In the following video I demonstrate how you can make a very strong and functional piece of rope from one or more trash bags. Ingenious! A simple technique using an ordinary plastic garbage bag, that could potentially help save your life! Thank you, Erich, and God bless you and your family! PS: I don’t know what URI means. If you want the rope to last, do not use a biodegradable bag. That plastic sounded like it was the biodradable type. I’ll have to show this to my Scouts. This could be most of a meeting!! !